This year I vow to not let exercise fall by the wayside when things get hectic. To motivate me, I even upgraded my workout gear, opting for adorable yet affordable picks from Gap, Joe Fresh, and Old Navy that won't break the bank. 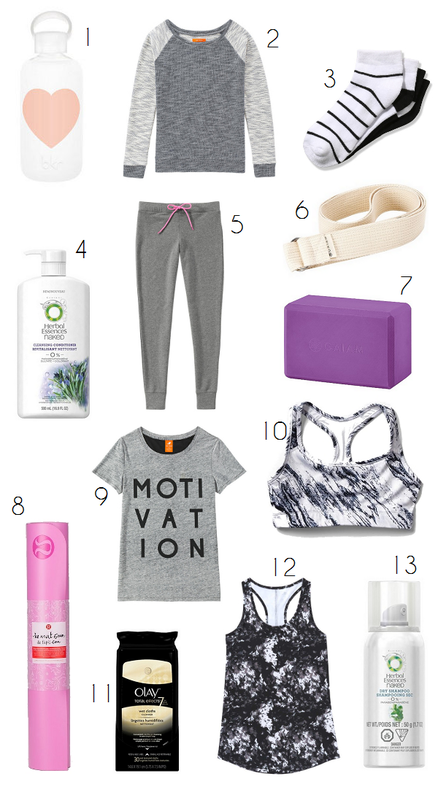 Having extra tops and running shorts on hand, and a few grooming essentials to transition, eliminates "I have no clean gym clothes" and "I hate leaving the gym all sweaty and gross" as viable excuses for skipping a workout. Yoga's fun! I've been doing it at home after cardio, but I miss having real classes in a studio.